During hot summer days, when rest of the India will be busy watching the annual Cricket IPL, few hundreds of people will be witnessing a history in the making at Navi Mumbai, distant sister city of Mega metropolis Mumbai. 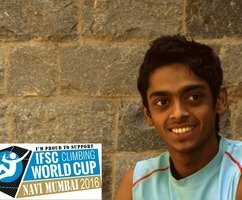 The historical event is the International Federation of Sports Climbing (IFSC) World Cup being organized in India for the FIRST time. There will be 150+ international athletes from 60 countries competing with each other on imported wall which will be set up in CIDO exhibition centre in Navi Mumbai. Hundreds of common people like you and me have volunteered to make this dream come true. Yes, it all started with a dream. A dream seen by Mr. Abhijit Burman popularly known as Bong in the climbing circuit. He works at Bhabha Atomic Centre and on the weekends he busy organizing climbing events or expeditions at Girivihar, Mumbai’s oldest Mountaineering club. In year 2000 when the dream of Bringing home the world cup was first seen it looked like a mammoth task. At that time, climbing scene in India was very small and fragmented. Although it is still very small when compared to other sports but overall climbing in India particularly in Mumbai has a come long way. And Girivihar group is in the centre of this transformation that has happened over the years. 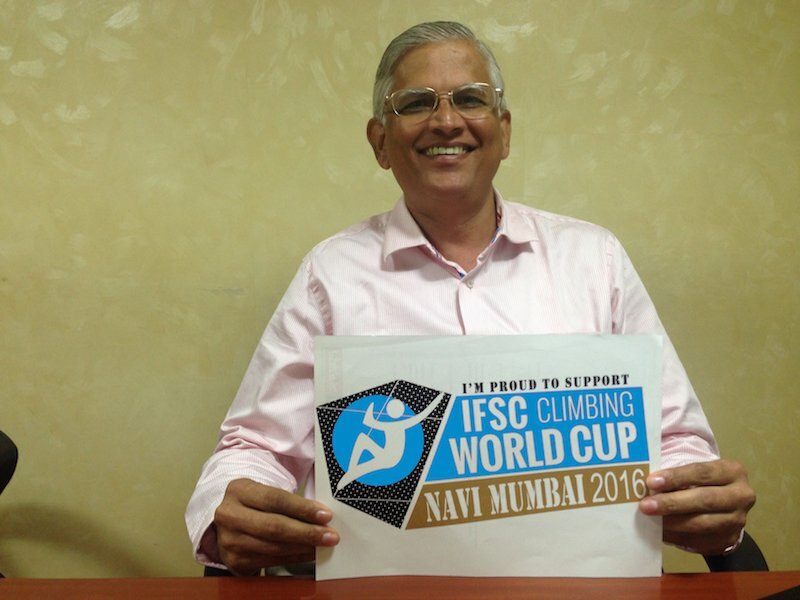 They have also been conducting climbing competition since last 13 years which has seen 800% rise in Participation. Bringing home the cup and organizing it successfully are two different mountains to conquer. Indian Mountaineering Foundation (IMF) has been instrumental in every step by helping Girivihar bring home the world cup. IMF has been conducting National competitions for the last 21 years to encourage the sport and give it a direction. Their experience and strategic tie ups have also made this dream come true. In cricket crazy nation, finding support for adventure sports like climbing is very difficult. 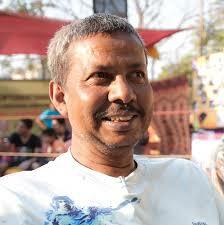 The greatest challenge was getting financial support for organizing the event. With sheer determination, persistence and passion even greatest of challenges become achievable. Same is happening here. Girivihar’s team and various other agencies determination are making things possible. One of the important means of getting financial assistance being tried by Girivihar is Crowd Funding. Various campaigns have been created at ketto.org to raise funds. So far they have raised 17 lakh rupees out of 30 lakhs needed to organize the world cup. We urge all our readers to show their philanthropy side and donate generously. It is our duty to support such events. Your support will create a better future for the next generations wherein they can choose whatever field they want to without worrying about the finance. This article is a candid interview with the organizing team at Girivihar about the story so far and climbing scene in India. 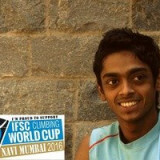 First of all, congratulations on successfully bidding to bring home the climbing world cup to India. Please tell us what challenges you faced while bidding and which other countries were competing for it. Thank you. It has been a long journey, and we’re seeing the fruits of some hard work and patience! 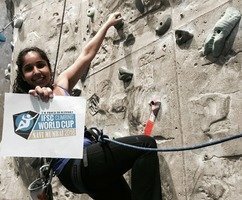 Girivihar has been soliciting IFSC for the World Cup Bouldering competition every year since 2000. Finally, fifteen years later, we have won a bid to host one of the events in the World Cup circuit. Although, many countries would have applied, India was the only new country in 2016 that was given the privilege of holding an event. This is a huge accomplishment for us as well as a great opportunity for all of India! There were various organizations involved and it was extremely difficult to get the eco-system in place to make this happen. One of the key milestones was when IFSC Sports Manager Jerome Meyer visited Navi Mumbai in May 2015. After multiple stages of approvals and meetings with various organization and local stakeholders, he submitted a positive report in our favour to the IFSC Board. Initially, we were awarded a provisional acceptance. This was eventually confirmed, and here we are! How many countries are participating and how many participants from each country? On average, around 150 athletes from 60 different countries participate in an IFSC World Cup event. Most athletes register 5-10 days before the event. So far, 36 athletes have registered and we have sent visa invitation letters to nearly 35 more. We expect approximately 150 athletes. 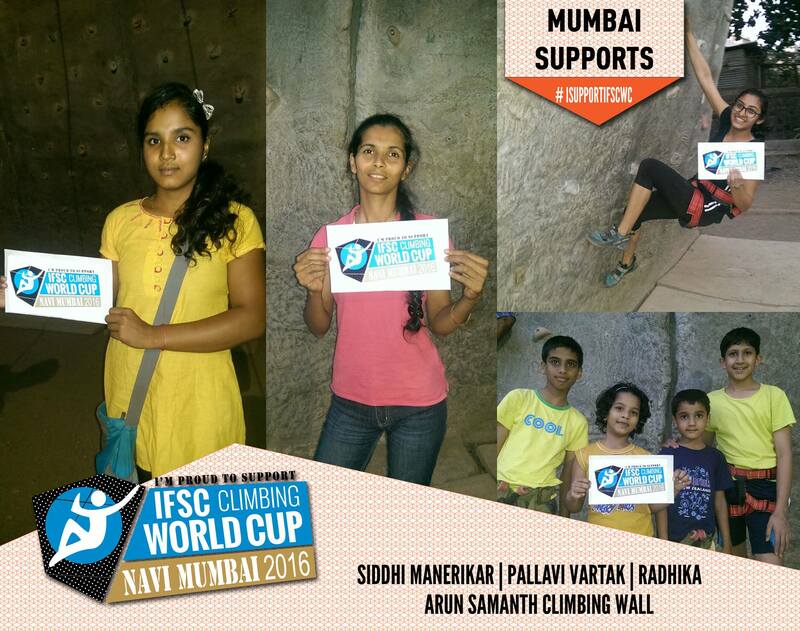 Again, this is a huge milestone in rock climbing in India, and we look forward to welcoming athletes from all corners of the world! What are the different events in this edition of world cup? 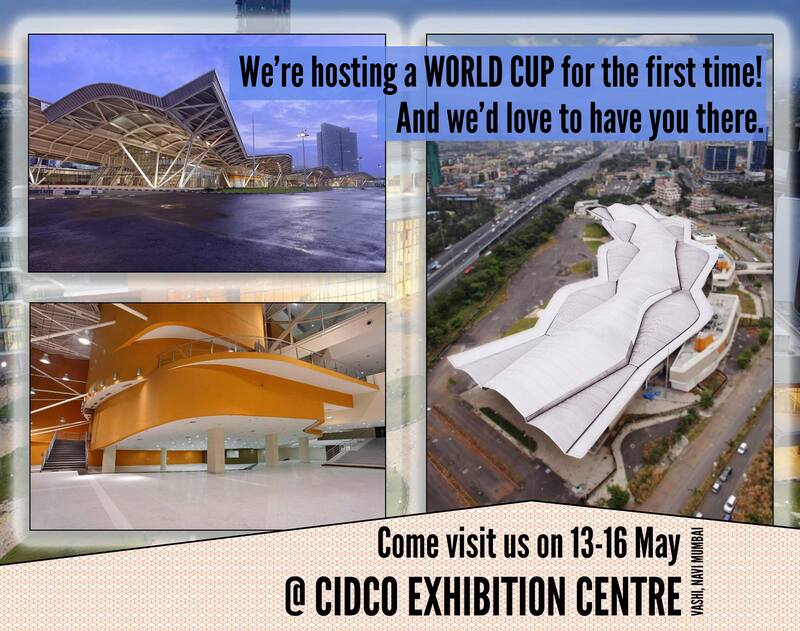 We plan to have an adventure tower and a promotional cup in addition to the actual World Cup event. As elimination rounds prove the mettle of all World Cup participants, other, no less talented athletes can join us here to demonstrate their hard-earned skills. As you will see, this is a very competitive sport and it takes a lot of hard work and dedication to get to the top, but no less dedication to get just short of it! 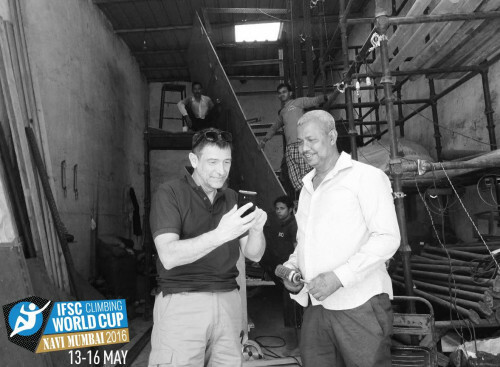 Organizing any world cup is a mammoth task and in India, Cricket is the only priority. What are the challenges you are facing while organizing this event? Apart from donations what are the other ways one can volunteer for this project? 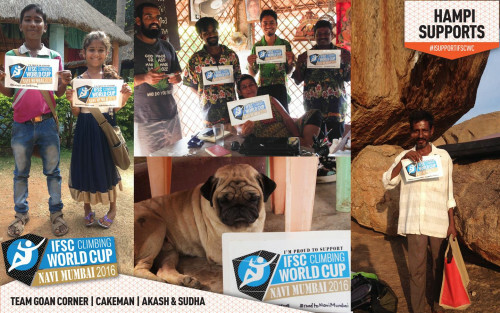 This whole World Cup event has been a grassroots volunteer effort from the get-go in 2000; we all have full-time, day jobs! It will be the same for the duration of the campaign and we look forward to all the help we can get from climbers and outdoor enthusiasts from all over. You can register as a volunteer through our website below as well as on Facebook pages. Based on your skills, each volunteer will be assigned a task before and during the event. Volunteers are currently helping in the areas of administration, marketing and promotion, graphic design, social media, and production. Describe the climbing scene in India right now and how will this World Cup help boost this fast growing sport? This is a very detailed question and much research would need to be done on it as climbing as a sport is in India is very old, yet fragmented. The genres of climbing cover a vast territory and range from mountaineering, which has a long history, to competition climbing, which is reasonably recent, with sport, traditional, and alpine climbing as well as artificial walls filling the space between, mostly due to technical advancements in equipment. Bouldering is the most prevalent genre in India, because of its relatively low cost; a simple mattress pad, shoes and chalk, and its ease of accessibility; any boulder, anywhere! Climbing in the outdoors has been enjoyed in India for several generations, with some active climbers past their 70’s now taking their grandkids out. Although, very active in their own personal pursuits, most climbers are not seen or heard of in India due to the sheer numbers of athletes in other sports like cricket. But, they’re all out there climbing; sometimes daily! Climbing is flourishing around Bangalore, Mumbai, Pune, Hyderabad, Delhi, and in Himachal Pradesh, amongst many areas. The armed forces also have athletes and soldiers actively involved in the sport with training camps and national competitions. Mountaineering is traditionally the genre most pursued and supported by the government, but this is now changing with modern western influences. On the other hand, internationally, climbing is one of the world’s fastest growing sports, due to its high fitness requirement and potential for adventure. 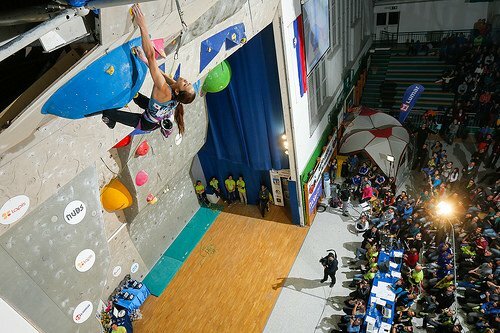 The proliferation of climbing gyms and competitions around the world has also fuelled an enormous growth spurt recently. We also see this on a local level as more people are drawn to the outdoors each year. Participation in the Girivihar International Bouldering Competition grew almost 800% in 11 years from 25 to 200 athletes. 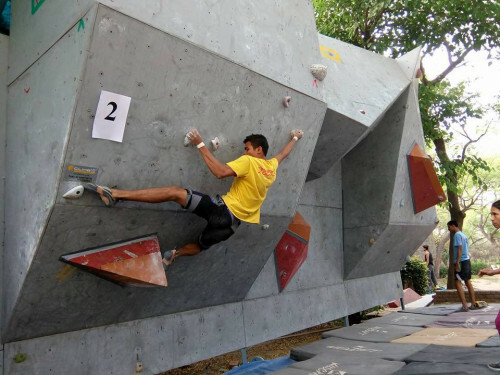 And, despite all odds, Indian athletes have won four medals at the recent 2015 Youth Asian Climbing Championships in Singapore. Climbing is scheduled to make its debut at the Asian Games in 2018 and is shortlisted for the Olympics in 2020, which will boost the sport’s profile immensely. In India, only a handful of elite climbers are currently sponsored and face funding challenges to commit fulltime to get to the top of this sport. 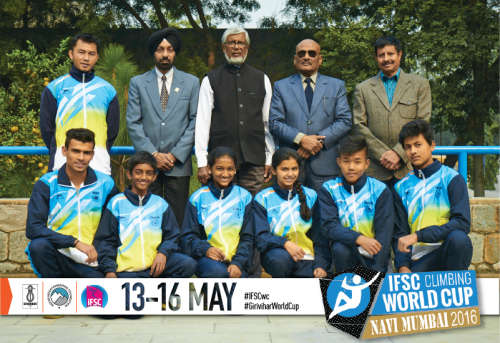 With more climbing brand-sponsorships, they will have the time and space to accomplish what they need, especially if they represent India in international competitions. Also, most climbing equipment is manufactured abroad and is imported at high cost, either through distributors, or personally, making it is an expensive sport. Hopefully, more foreign brands will be available here, but more importantly Indian brands will also compete and thrive, eventually bringing costs down and benefitting all athletes. This is a natural progression over time to a growing sport. India has some of the world’s most expansive, yet-to-be discovered, local and alpine climbing destinations, which are being slowly and painstakingly developed by locals and climbing groups across the country. 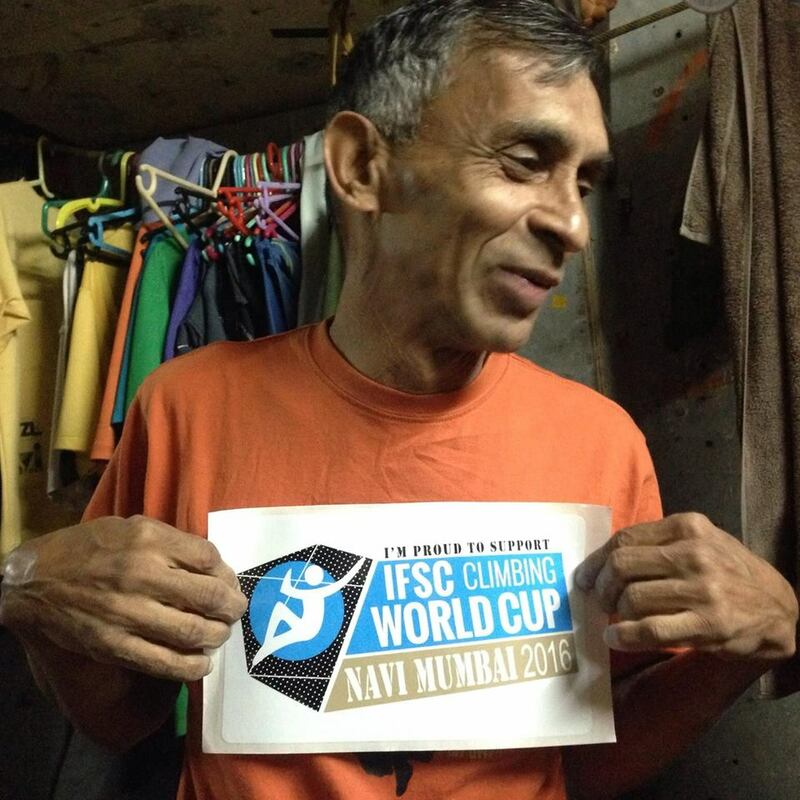 We hope to see more climbing brands in India as well as new areas made accessible. 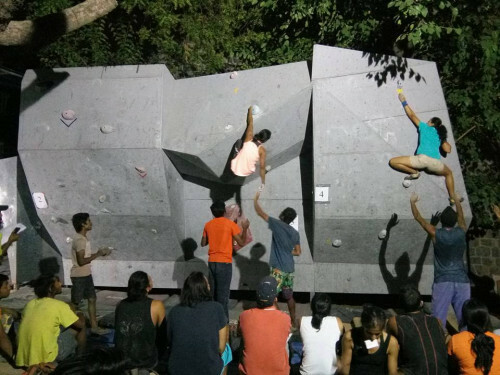 In addition to this, one of the many local benefits to bringing the World Cup to India is that another generation of climbers will have a world class wall to train on. 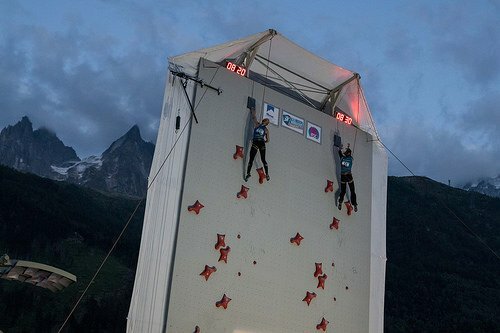 The wall, mats and holds for the world cup are being imported, and we hope to install this in a location such as a trust, club or gym, where it can be used by anyone at very low cost, so there is no economic discrimination to access climbing. 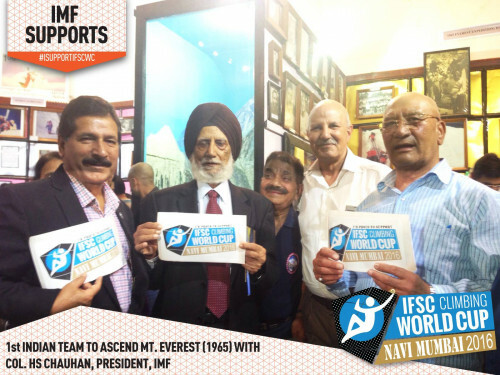 The World Cup will definitely open new avenues for Indian climbers, outdoor enthusiasts, and also for the multitudes of outdoor and adventure companies that already exist. What personal skills are developed in climbing? Climbing is good for overall individual development, requiring immense mental and physical training as well as total commitment. Because it is an experiential activity, one has to actually participate in it physically to really experience its benefits. People respond differently based on their own life experiences. So, depending on the genre and level of climbing, participants can develop a wide range of personal life skills. How does one get started in this sport? Climbing really exists all over India; we just have to find it. One can search the internet for local climbing clubs and reputable guides. Locally, there are many clubs that take potential athletes on outings; you just have to find them. 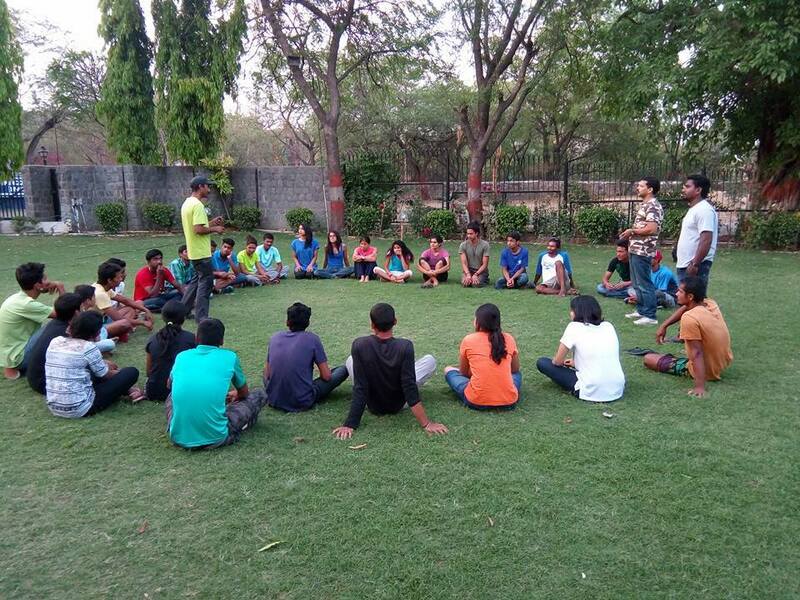 Girivihar has held a beginners’ climbing camp nearly every year for the last 45 years. The IMF (Indian Mountaineering Foundation) and other institutes hold many one-two month courses in the mountains for more avid enthusiasts. 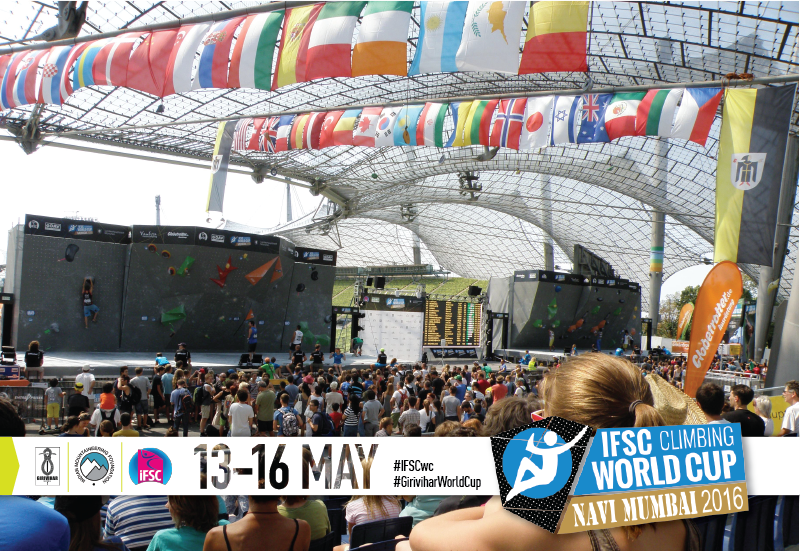 Come and watch the IFSC World Cup competition in Navi Mumbai. But eventually, the only way to participate is to just get out and climb! Divyesh Muni, Vineeta Muni and Rajesh Gadgil. 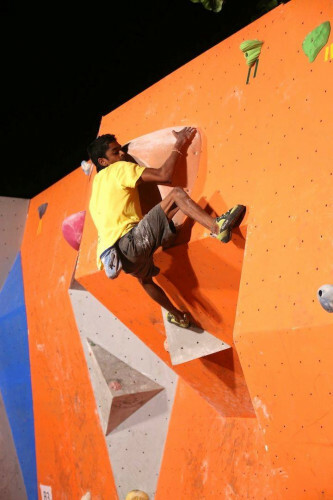 Can you tell us about different climbing walls that exist in India? 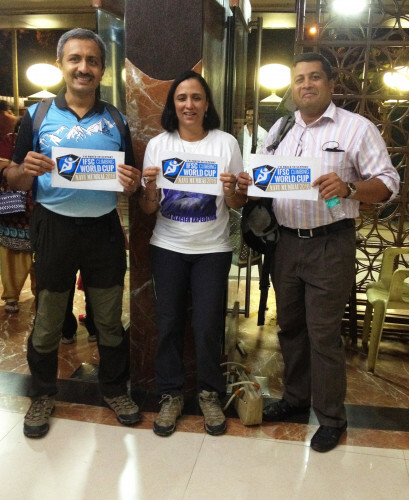 We have seen a growing trend among youngsters taking adventures sports professionally. According to you how bright is the future of adventure sports in India? We have a range of adventure sports picking up momentum in India. 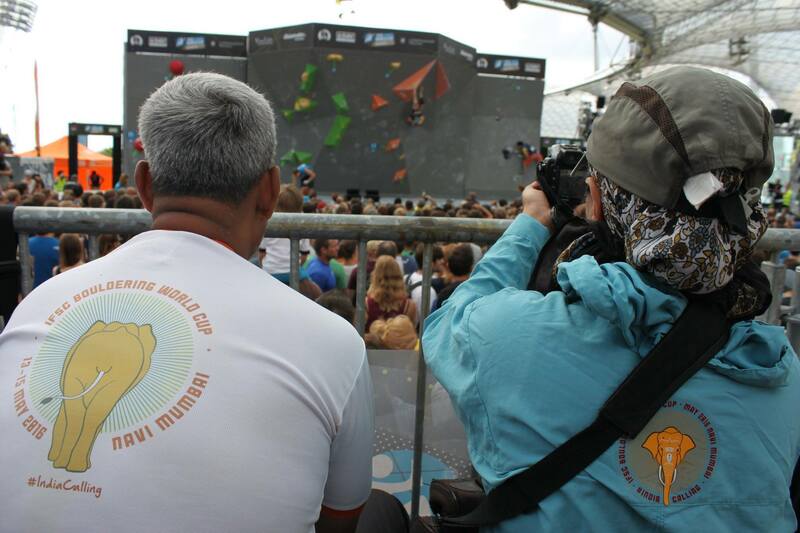 Last year, there was a Paragliding World Cup in Bir Billing, and in a few weeks, it’s the Bouldering World Cup. It is only a matter of time before brands and sponsors back these events, bringing athletes from all over the world, making India a truly international outdoor sports destination. It definitely looks like a bright future to us! Glimpse of World Cup from other part of world. 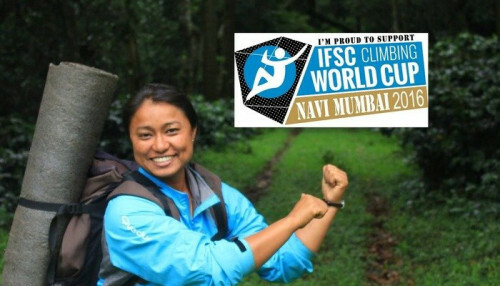 IMF co-ordinates climbing in the Indian Himalaya, organises national and international conferences, training / environment-cleaning camps and climbing competitions. IMF is closely associated with the Ministries of Sports, Home, Defence, Tourism and Environment of the Government of India. Foreigners can climb mountain peaks in India after obtaining the required clearances. 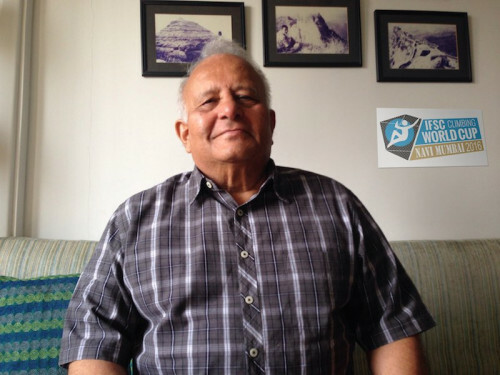 Inspired by the first ascent of Everest & the idea of mountaineering as an adventure, a group of professors from Mumbai University came together to form a club. Thus, in 1954 was born one of India’s first mountaineering clubs, today called Girivihar. Our mission is to encourage activities that celebrate the human spirit; testing our courage, endurance and determination while fostering a deep connection with nature and each other. In 1982 our members pioneered the use of expansion bolt technology in the country by achieving the first ascent of the Khada Parsi pinnacle and in the nineties Girivihar introduced sport climbing to India. ! Over the years we have planned and executed several expeditions and high altitude treks including Himalayan peaks over 8000 meters. Our members are dedicated and experienced in the management and logistics of large scale adventure activities. 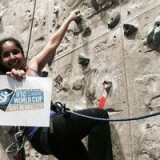 More recently over the past decade, we have been hosting annual rock climbing competitions. It’s not just mountaineering groups behind this project. Government agencies like mentioned below are also giving full support to this event. And the most important people behind the event are hundreds of people like you and me who are nameless and faceless yet showing tremendous support and contributing to event in whatever means possible. Support Girivihar in this world cup.